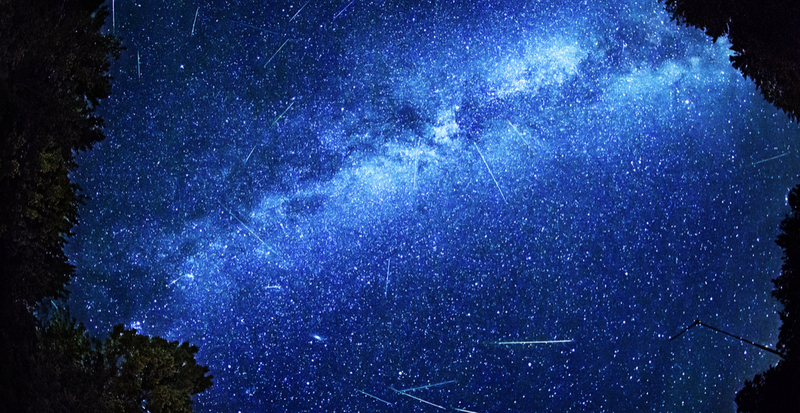 It’s almost time for the annual Perseid Meteor Shower, and NASA expects it’ll be the most dazzling meteor shower of the year. According to Space, this August during the peak, there should be about 60 to 70 meteors per hour, although last year saw about 80 an hour. The meteor shower will reach its peak on the nights of August 11 and 12, and the show will get underway around midnight local time. The display is also very weather dependent, as views may be hindered by cloudy skies. However, this year there will be a New Moon the night before the meteor shower peaks, making an appearance just after sunset as a thin crescent, according to The Weather Network. This means we’ll be left with a dark sky for the rest of the night, and only city light pollution will interfere with the show. Time: Watch the spectacle between midnight and dawn on the morning of August 12. and between midnight and dawn on the morning of August 13. NASA recommends about 45 minutes for your eyes to adjust to the darkness. Place: Darkness is required for optimal viewing, which is pretty tough in the city. But try one of the local parks. Your rooftop may not be the best solution, especially if you’re in downtown (you need to get as far away from light pollution as possible).